These non-fog not-really-welding goggles are just what you need to cap off your costume. Sure, the flip-up dark lenses are too dark to see through easily (that's why they have conventional clear plastic lenses underneath them), but leaving them flipped up just adds to your zany, adventurous, steampunk persona. Aesthetics include side vents and an adjustable elastic head strap. And the goggles accept standard 50mm replacement lenses, but if you think the party is going to be that rough, we suggest that it would be cheaper and easier to just buy a couple of pairs at this price-from-the-past. 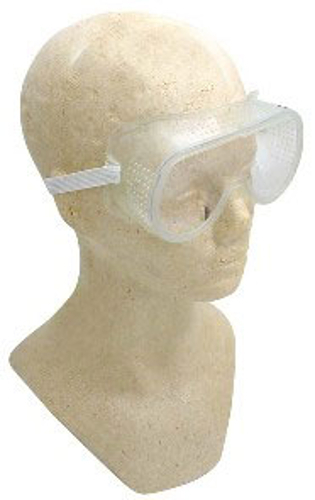 Small protective goggles, for kids or anybody else with, well, a little head. (You know who you are.) 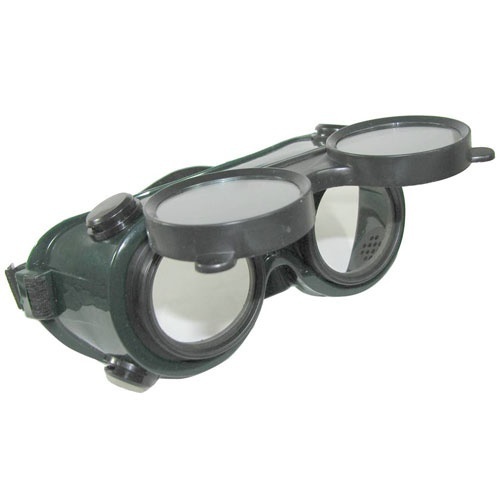 They're 5" across, or 15% smaller than standard goggles. Nice quality, with a plastic lens and indirect ventilation. They meet ANSI standards for protection from flying chips and particles. Flexible, clear-vinyl body with adjustable elastic headband. Is Your Stuff Slip Sliding Away? Best get this non-slip matting to line your drawers and tool boxes. In textured blue rubber, our each is a mat 58” long x approx 16” wide x 1/16” thick, easily cut to size. 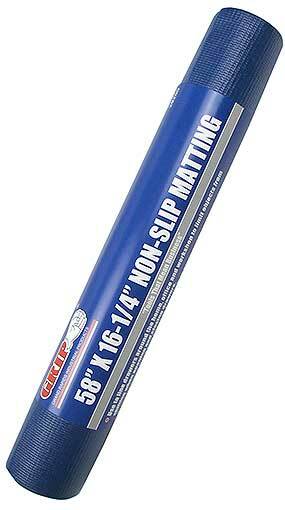 Made by GRIP®--Grand Rapids Industrial Products, our current favorite company name. 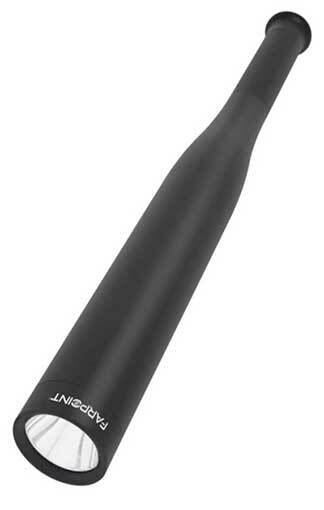 We named it for Billy, our very own social media maven, but the manufacturer, iZoom®, calls it a Security Flashlight. The solid heft and sturdiness of this this particular item cannot be understimated. 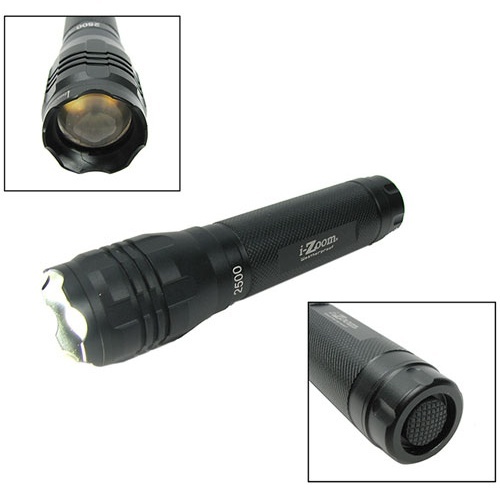 Weighs a formidable 3/4-lb, and measures 14" long in black aluminum alloy with high/low/strobe modes and a max 200-lumen rating for the single SMD (surface mount device) LED. On a 6" wrist strap, it comes with (3) “AA” batteries. 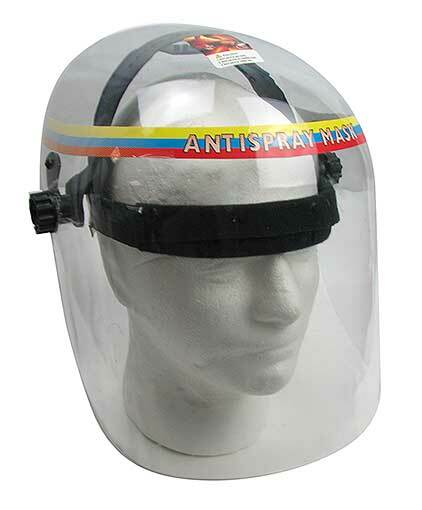 Just like all the fashionable coroners wear, this clear plastic face shield is approx 10-3/4” tall x 6” deep, and wraps around your face and the front half of your head. 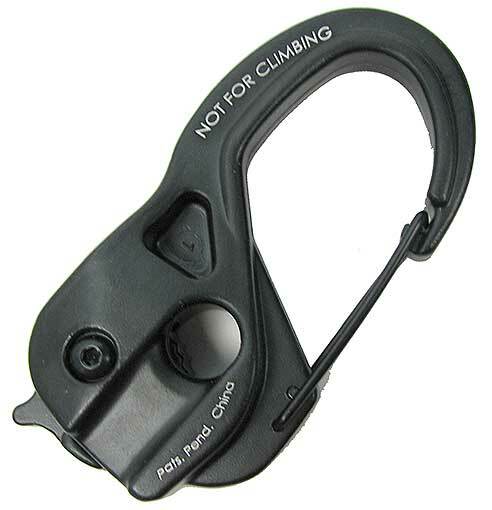 Has thumbscrews to adjust the forehead strap and angle of the face guard. Not impact or heat resistant, so pay heed to the “antispray mask” on the tape at the top, and don’t use it like safety glasses or a bump cap. Pay no attention to Coach. Just tape it up if you’re too old to also shake it off. 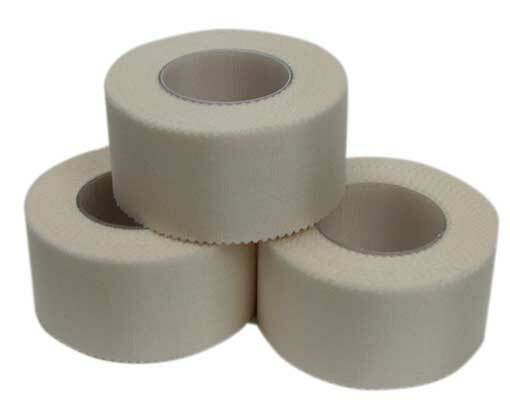 Use this white cloth medical tape with a crinkled edge so it’s easy to tear. From Select® medical products, each roll is 1” wide x 10 yards on a 1” core. 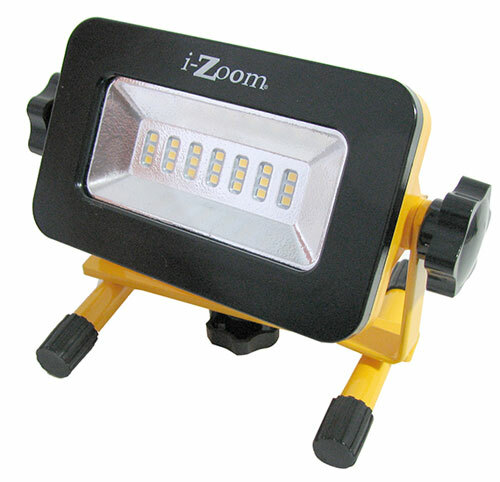 Everybody from tow-truck to Lawn Order SUV drivers like to slap a magnetic mars light on their dashboard or roof. 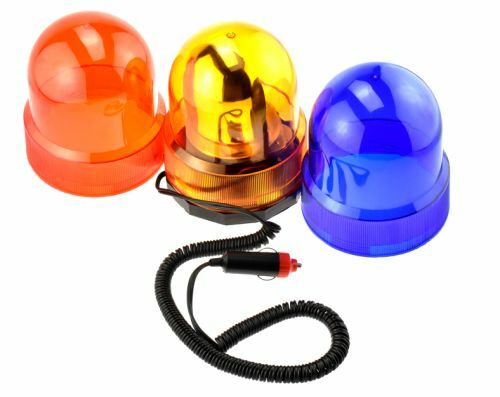 This triple-threat 12VDC warning light has a rotating incandescent light and amber, red and blue domes that screw onto the magnetic dodecahedral (that's 12 sides, Danno) base. The coiled cord with the cigarette-lighter/accessory plug stretches to ten feet and the light measures approx 6" tall x 4-1/2" across. Before you use it, be sure to check to see if you're a cop, firefighter, ambulance driver or are towing something, unless you're the new VP in charge of blue-light specials. 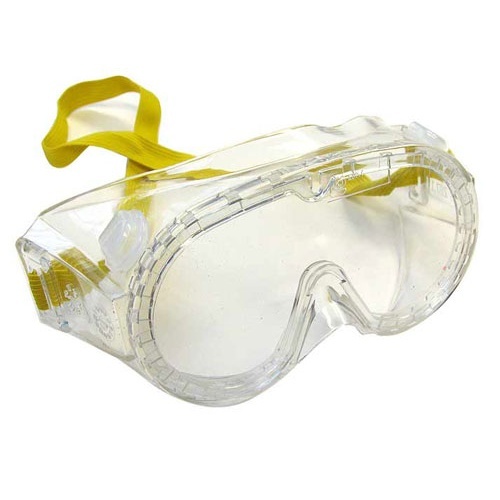 Plastic safety goggles with a clear, fairly hard single pane front. The wrap around is clear The top and sides have dozens of little holes for ventilation and the whole is big enough to fit over regular glasses comfortably. An elastic strap holds them in place. Made in China.